When it comes to the health and wellbeing impacts of smoking, it’s a no-brainer – the evidence is there. The effects of smoking can include many different types of cancer, worsening of afflictions such as the common cold or asthma, and can increase a persons risk of experiencing heart attacks, a stroke and coronary heart disease, just to name a few. Not to mention the risks of inhaling second-hand smoke. So why do people still do it? We know that smoking is highly addictive – once someone is hooked, the prospect of going cold turkey can be almost unthinkable. Certainly, E-cigarettes have helped people quit, but according to an ONS 2017 survey, 15.1% of UK adults still smoke – that’s around 7.4 million people. Interestingly, just over 60% of people who currently smoke said they want to quit – so why don’t they? Smoking can also have negative effects on the workplace and businesses. According to research by the British Heart Foundation, smoking costs UK businesses approximately £8.4bn a year in lost productivity – this includes workers taking smoking breaks, in addition to time spent off ill due to smoking related illnesses. 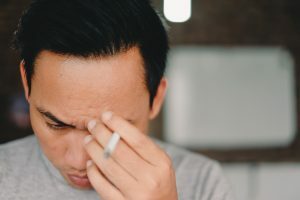 The financial benefits to a business of encouraging employees to stop smoking is clear, however, there are also some morale-based benefits that can accompany this. For example, simply encouraging employees to stop smoking, and putting a plan in place to help them make the change outwardly demonstrates corporate responsibility, and inwardly illustrates to employees that their health and wellbeing is considered important. 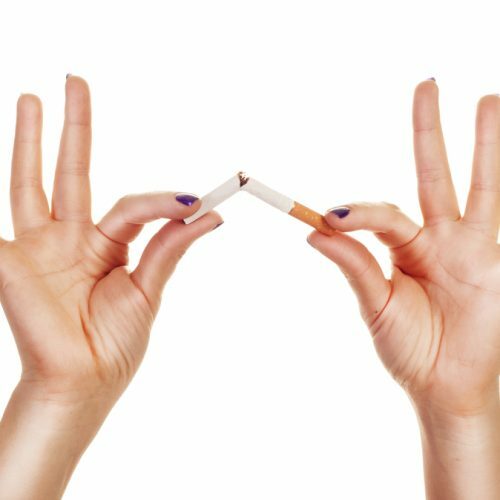 The benefits may sound great, but just how do you implement a stop smoking plan? Quitting smoking can significantly increase the pressures and stresses of someone’s personal and professional life. Think of your favourite meal of all time. Hopefully something healthy and nutritious, but most likely something greasy and delicious. It fills you up, it tastes great, and it makes you feel good. Now imagine that, as of right now, you can never eat that meal again. Other people can still eat that meal, but not you. You may crave it, you may become irritable, you may even lay awake at night thinking about it. Alright, so that analogy only stretches so far, but the point stands. If you’ve formed a habit that your body enjoys, and that is actively addictive, suddenly deciding not to do it can seem like an almost impossible challenge. That’s where support comes in. The NHS Stoptober campaign is a fantastic port of call for individuals looking to stop smoking, and can help develop a small support network in the workplace. So, how do you go about changing your employees minds on something that their body craves? Again, support is absolutely essential, and implementing this in day-today business practice is absolutely essential. First and foremost, awareness is key. Communicate to your employees that you care about their health and wellbeing, and demonstrate the benefits of a smoke-free workplace – maybe hold an awareness day, or even book a Wellbeing Roadshow, combining topics such as nutrition, cholesterol and stress management into your awareness campaign. Once awareness is in place, consistency and continuity becomes key. Who is in charge of wellbeing in your workplace? A healthy and aware organisation is fantastic, but with no one to take the this culture forward, old habits easily slip back into the commonplace. This is where Workplace Wellbeing Coordinators come into play, along with Wellbeing Champions. These are the people in your organisation that promote healthy practice, and ultimately help create a happier, healthier and more productive workplace – and what more could you want? For more information on stopping smoking, visit the NHS Stoptober website. If you’d like to know more about how your workplace can make healthy changes that lead to a better working environment, contact us here at New Leaf Health, or request a brochure for information on our full range of services. Stoptober – 1st to 31st October 2018.